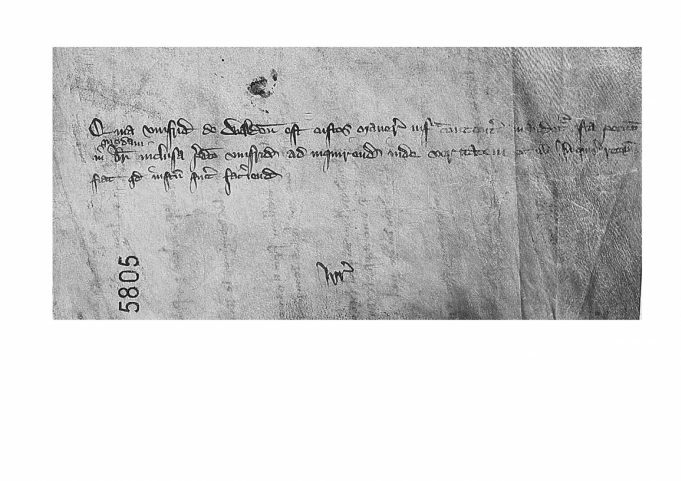 One of the many treasures available to download at no cost from the National Archives is this record of a successful petition by Hadleigh in the early 14th century. Nature of request: The tenants seek remedy for the numerous damages suffered by them at the hands of Roger de Blakeshale, constable of Hadleigh Castle. Nature of endorsement: As Humphrey de Walden is keeper of the manors mentioned within, let this be included in a writ to him to inquire into the truth of these matters and ensure justice is done. Places mentioned: Hadleigh, [Essex]; Thundersley, [Essex]; Rayleigh, [Essex]. People mentioned: Roger de Blakeshale (Blakesale, Blaksale, Blaxhall), constable of Hadeleye Castle; Roger Filyol, former constable of Hadeleye Castle; Humphrey de Walden. Date derivation: An order to seize the goods of the late Roger de Blaksale was issued on 6 November 1324 (CFR 1319-27, p.303), although he seems to be alive at the time of the petition. 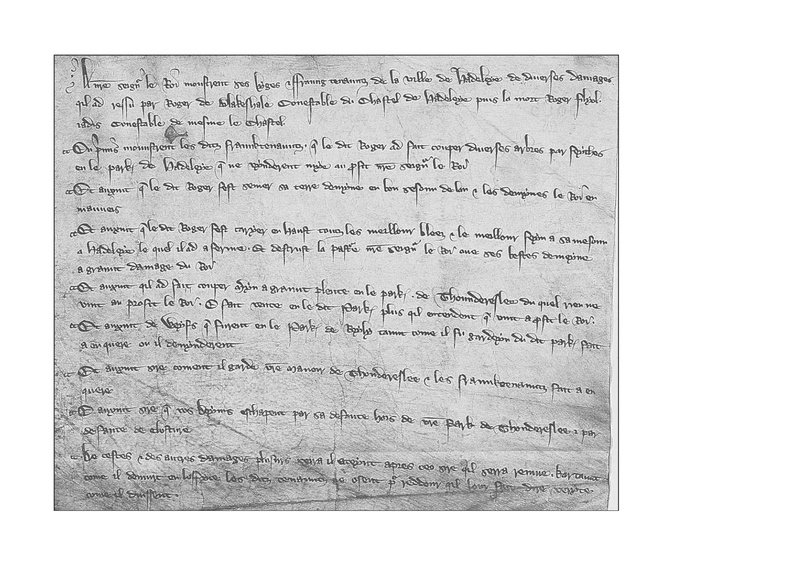 Walden was appointed as keeper of Hadleigh Castle, amongst others, on 26 April 1320, Blakesale on 22 July 1321 (although not succeeding Walden), and Walden on 8 March 1324 (although replaced by 20 August 1324). The petition presumably dates from this period.